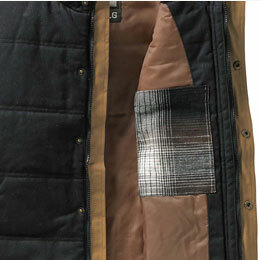 Men's Bison Canvas Vest is rated 4.8 out of 5 by 178. 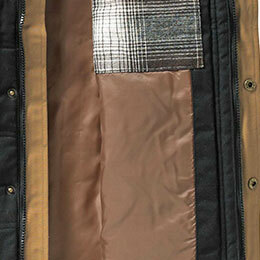 Waxed cotton is more durable, and the special coating enhances water resistance to keep moisture from soaking in. 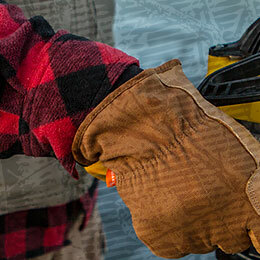 Poly-fill insulation adds extra padding and extra warmth without adding extra weight. 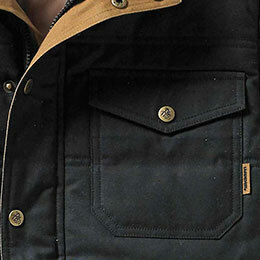 Our Mens Bison Canvas Vest is truly an outdoorsman’s best friend. 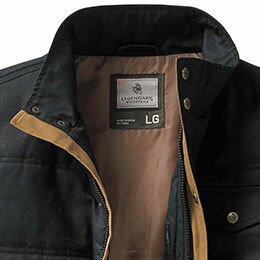 It’s rugged, warm, and versatile, with a waxed cotton body featuring poly-fill insulation to provide extra core warmth. 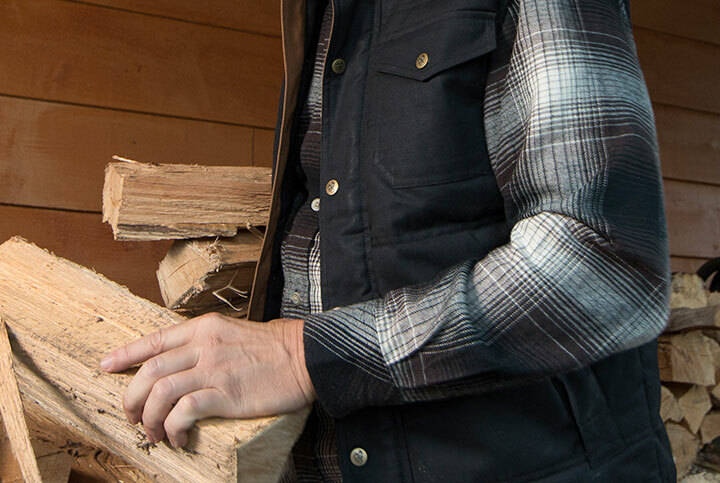 This insulated vest for men has a full-zip front with a snap-down storm flap to keep the cold where it belongs—outside. 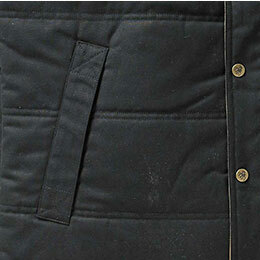 A left-chest snap pocket, interior pocket, and two lined hand-warming pockets with secure zippers. Rated 5 out of 5 by Adam from NICE! Pretty awesome vest! High quality and very warm. I am 6'3'' 230lbs and the Tall Larg fits right. Nice purchase. Rated 5 out of 5 by Daniel Craft from Great quality This vest is awesome for the winter good quality looks very nice I’m happy with my purchase . 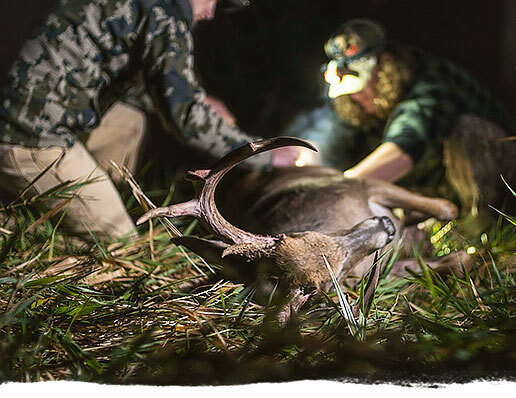 Rated 5 out of 5 by David from Soft and Warm for hunting or working. Soft and Strong, great for long days on the farm. 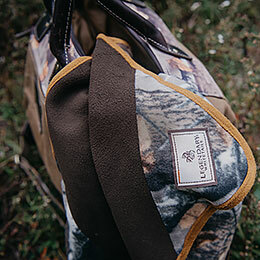 Great for long days in the field. What is the size of interior pocket? We will not be restocking for the rest of the 2017 season. I am looking to purchase. 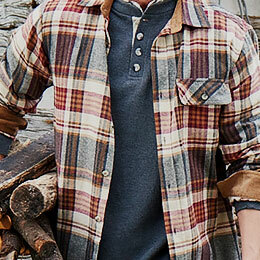 The men's bison canvas vest in barley large. &nbsp; Is that no longer available? Can someone answer how water proof the vest may be ie..it works well in light rain or medium rain. This vest work well with Seattle's misty rain. 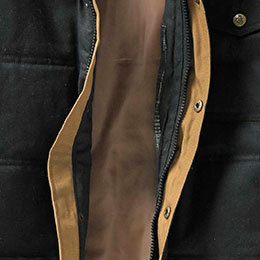 Does this vest accommodate a concealed pistol on the interior pocket? If yes can I carry a full size 1911? 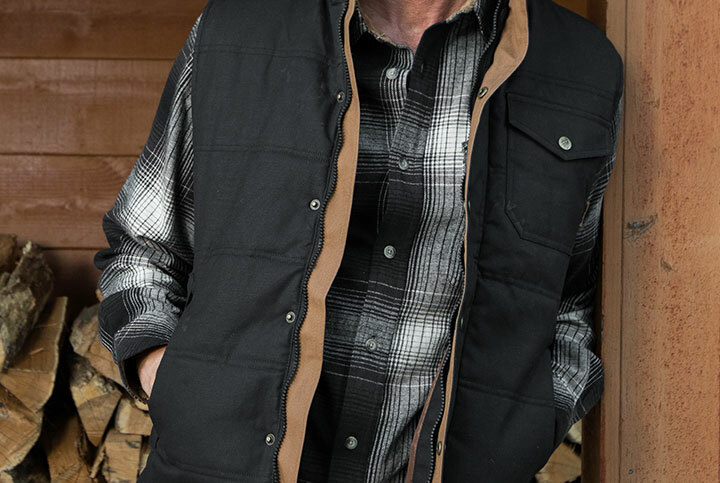 This vest does not have concealed carry pockets, however our Men's Canvas Cross Trail Vest (item# 6636) does! How long is this vest? The back length of our base size Large is 30&quot;.